This certificate is also for those who have not taken lessons at our studio previously, but they want to get a full-immersion introduction! 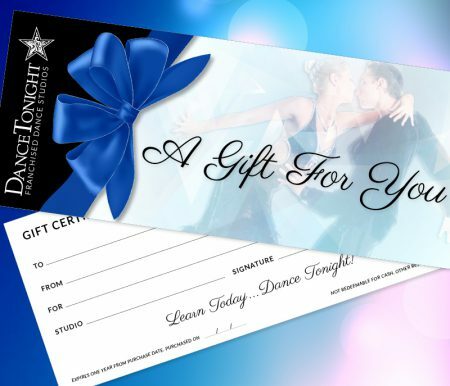 This gift grants the receiver four forty minute Private Lessons, as well as our Standard VIP Card. That means they will have access to all the Beginner’s Group Classes for one calendar month, plus the Dance Social that month. This will be true for an individual with the certificate, or for a couple. This is our newest introductory offer, and the one with the most savings. 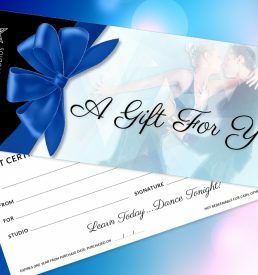 If you know someone that you just know is ready to dance as much as possible, then this is the gift for them! After purchase you will receive a link to a downloadable gift certificate.